Please use this account to upload any team photos, tournament photos, practice photos you want to share with the team. The Rosemount Golf program is proud to claim Emerald Greens as their home course. The outstanding practice facilities, 36 holes of golf and fantastic staff makes Emerald Greens one of the premier golf courses in the Twin Cities Metro Area. Please support Emerald Greens as a thank you for all they do for Rosemount High School Golf. Dakota County's most popular golf lessons for boys and girls. Let the Summer Fun Golf Camps show you the simple secrets to hitting the golf ball consistently with distance each time you swing. Learn how to chip it close, and putt with confidence! Develop the skills you need to enjoy this great game of golf for a lifetime. A Minnesota summer golf tournament series featuring flights for boys and girls (8 & under, 10 & under, 12 & under, 14 & under, 16 & under and 19 & under) with all age divisions determined by the player's age as of June 1. Players who graduate this spring are still eligible to participate. Contact the MYAS/AAU at (763) 781-2220 or 1-800- AAU-4USA. Established in 1947 and incorporated in 1994, the Minnesota Women's Public Golf Association (MWPGA) was organized to serve the needs and interests of the state's women public golfers. Public courses in this case are defined as any course offering playing privileges to the general public on a daily fee basis. The MWPGA currently has over 75 member leagues representing over 6,000 women from courses in Minnesota. 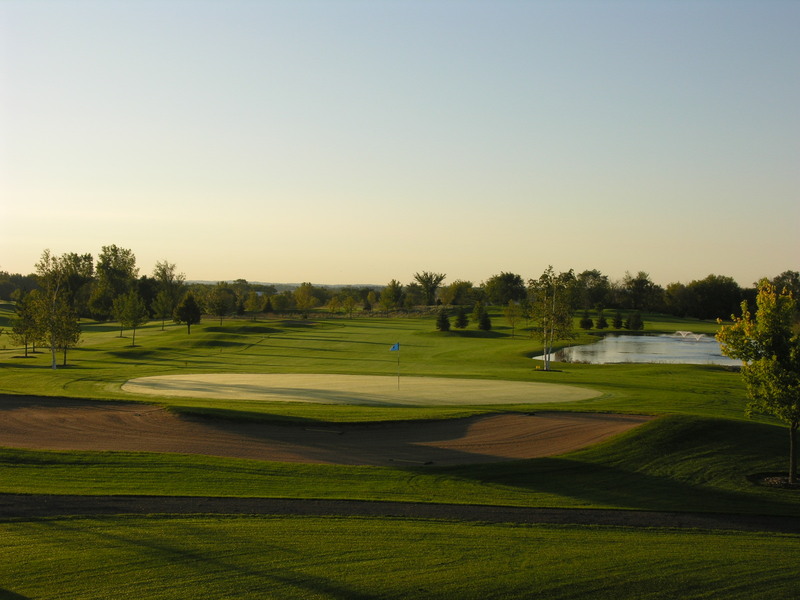 Located in Hastings, Minnesota, experience the Twin Cities' most complete golf facility just minutes from the MSP Airport. Enjoy 36 holes, a comprehensive practice facility, dedicated instructional staff, fun leagues and the ability to host shotgun starts for events 7 days a week. Rich Valley Golf Club was designed by Ray R and was built by the family. Ray has been in the Golf business his whole life. He started out installing in-ground sprinkler systems. Then in 1969 Ray and the family designed and built their 1st course. They named it Parkview and it is still Parkview today. They sold Parkview in 1981. In 1975 Ray bought farmland and designed and built Fountain Valley Golf Course, which they sold in 1980. They then designed and built Rich Valley. They have been family owned and operated since 1988. Welcome to our newest golf card sponsor! Running along the Cannon River in southern Minnesota is Cannon Golf Club, an intriguing course sprinkled with wetlands, ponds and streams that make for a fantastic round of golf. This is a traditional course that can be walked by those seeking a traditional experience. Our golf course lies in an oak savannah where the prairie meets the water. Our Lakeville golf course is a beautiful 18 hole, par 71 championship course. The front nine has a links feel to it with water and rolling terrain. The back nine is more wooded, lined with trees, water, bunkers and great elevation changes. The entire course itself consists of 45 bunkers and water comes into play on 16 of 18 holes. Heritage Links offers a challenge for all skill levels from beginner to experienced. Four different sets of tees ranging from 5,145 yards to 6,672 yards should allow you to find your comfort zone quite easily.